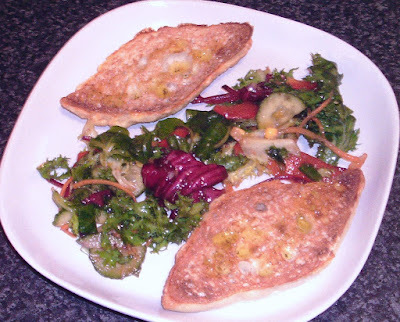 This is a super quick to make as well as delicious and healthy meal, perfect for a weeknight when you're perhaps tired and can't face spending a great deal of time in the kitchen. It's ready to eat from starting the prep to finish in an absolute maximum of fifteen minutes. 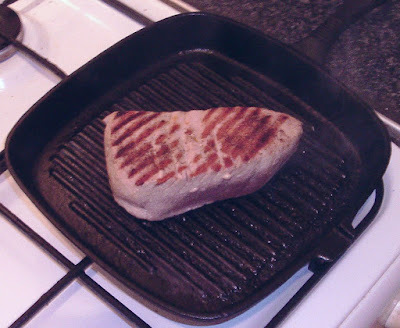 Bring a ridged griddle/grill pan up to a smoking hot heat. This will take around three to four minutes. While the pan is heating up, oil the tuna steak all over. A pastry brush is perfect for performing this task. 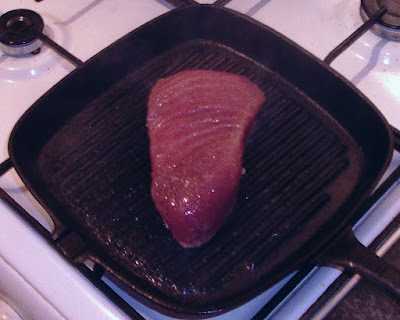 Season the fillet lightly with salt and pepper. Lay the fillet carefully in the pan to fry for an initial three minutes. 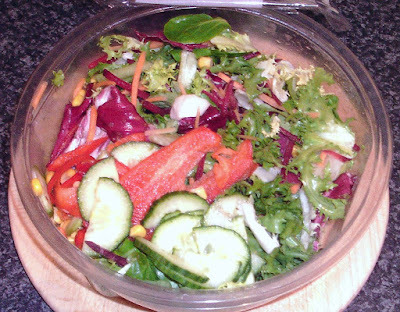 This supermarket salad was a mixture of different green leaves, cucumber, red bell pepper slices and sweetcorn. You really can use however whatever salad mix you prefer. 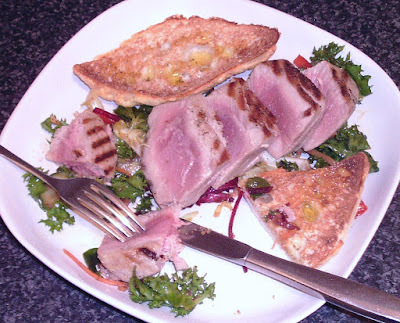 Turn the tuna fillet with cooking tongs to fry for three minutes on the second side. 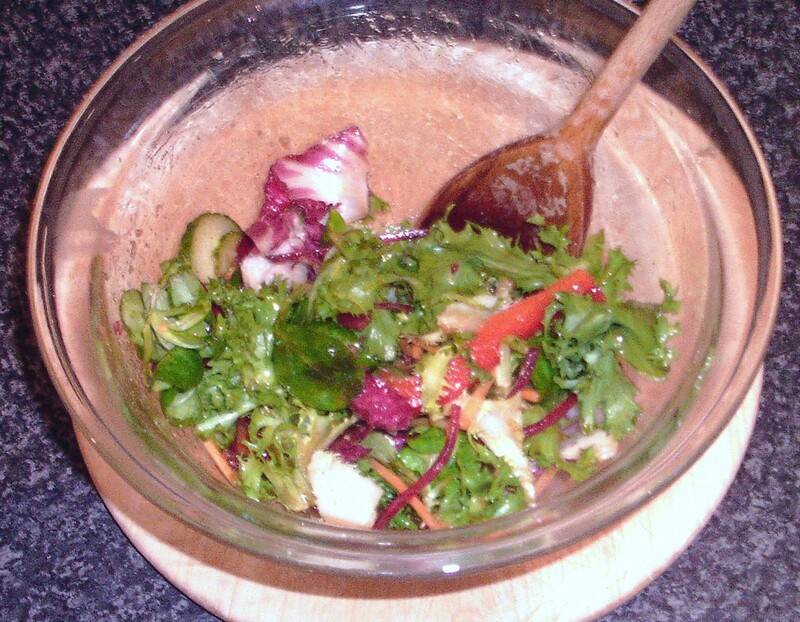 Mix the tablespoon of olive oil and the lemon juice in a large bowl. Grate in the peeled second garlic clove, season with salt and pepper and stir again. Add the salad leaves and stir fold or toss through the simple dressing. Lift the tuna fillet to a chopping board and leave it to rest for a few minutes while you prepare the bruschetta. 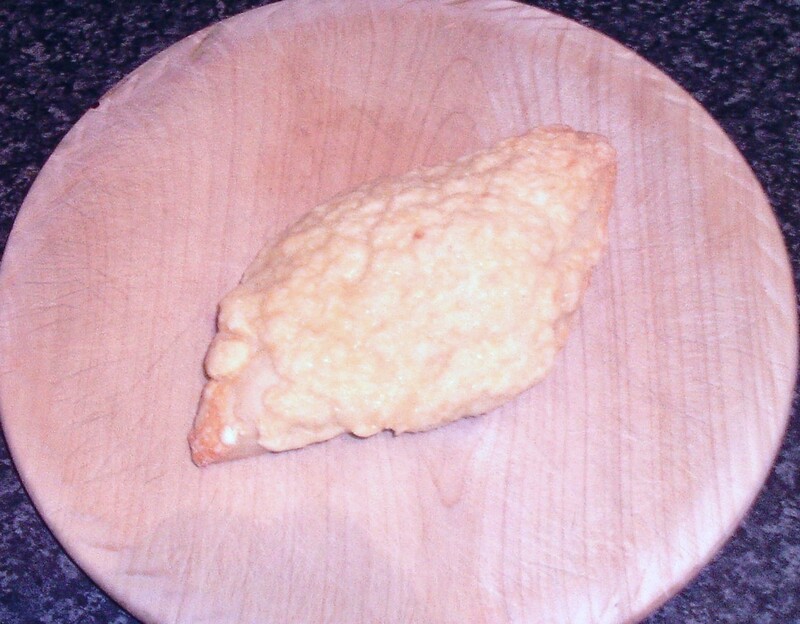 This is roll was made with cheese and had extra cheese toasted on the top but you can use a plain bread roll if you prefer. 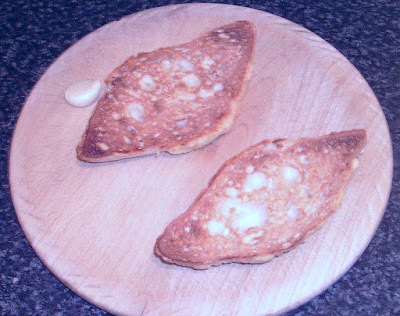 Cut in half horizontally and toast lightly on both sides. Peel the second garlic clove and lightly crush. Rub it over the cut sides of the hot toasted rolls. Drizzle with a little bit of extra virgin olive oil and season with salt and pepper. 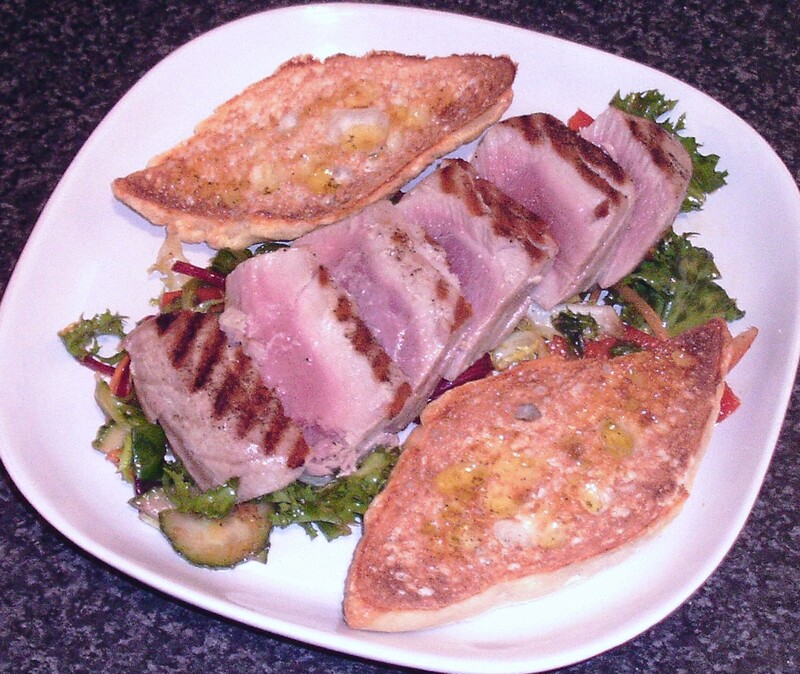 Arrange the salad in the form of a bed for the tuna on a serving plate. Lay a slice of bruschetta on either side. 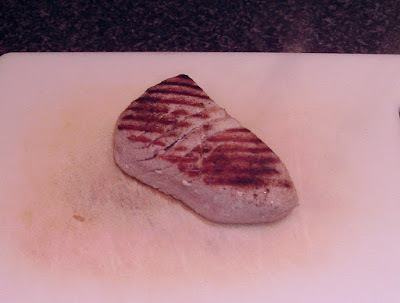 Slice the tuna steak across the grain with a cleaver or very sharp knife. Lay the slices attractively on the salad bed and serve immediately.